Members of the Friends of the Kagyu Monlam started congregating on the lawn of Tergar Monastery early in the afternoon of the third day, in eager anticipation of their group audience with His Holiness the Karmapa. Very soon after, they were ushered into the shrine room and lined up in rows to await his arrival. 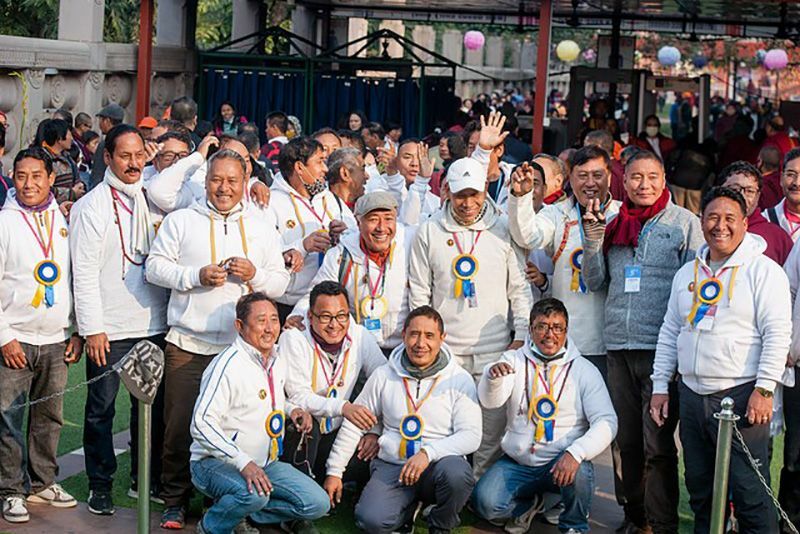 With between 1,200 and 1,400 Members to fit in, that took some time and skill to arrange - testament to the effort and patience of the guru sevakas who had that responsibility, and who kept the atmosphere light with their good humour both in English and in Chinese. There was hardly a buzz of nervous chatter amongst the waiting Members, their whispered exchanges softer even than the twittering of the Tergar shrine room's resident birds. Some took out their malas, some closed their eyes in meditation, all preparing as best they could for this longed-for moment. 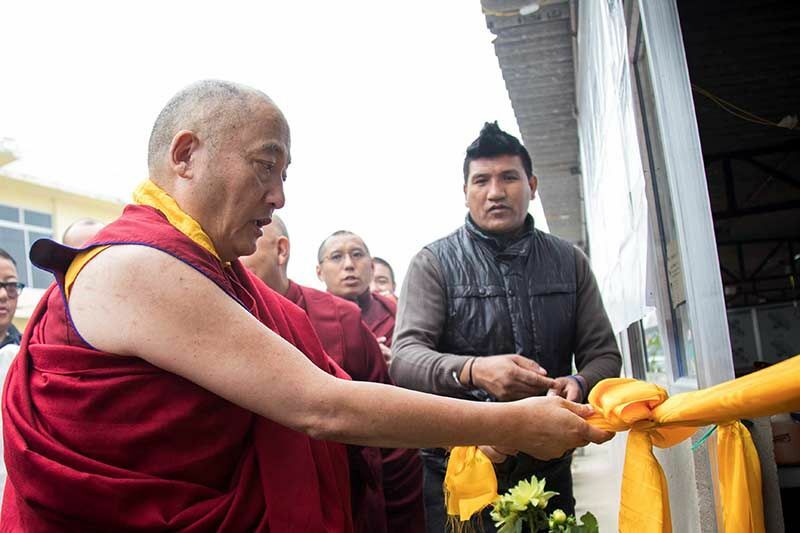 As had happened earlier in the day amongst the Mönlam Members waiting at lunchtime in the Mahayana Hotel, spontaneous chanting of Karmapa Khyenno rapidly spread through the rows and was sustained until, with none of the usual security to-ing and fro-ing, His Holiness walked in. 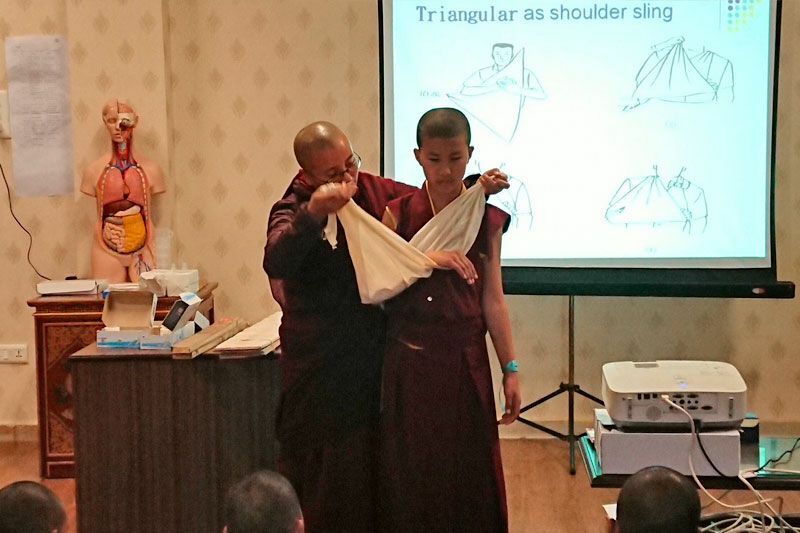 When I joined the Mönlam and started giving teachings, it was in a basement hall in the Mahayana Hotel, dark and windowless. It seemed a big venue at the time, as the Mönlam was only for foreigners. But that basement soon became too small, and we moved to the shrine room of Shechen Monastery. It was still only attended by students from abroad, but as more of them came they spilled out onto the veranda, they were opening windows and letting the mosquitos in. 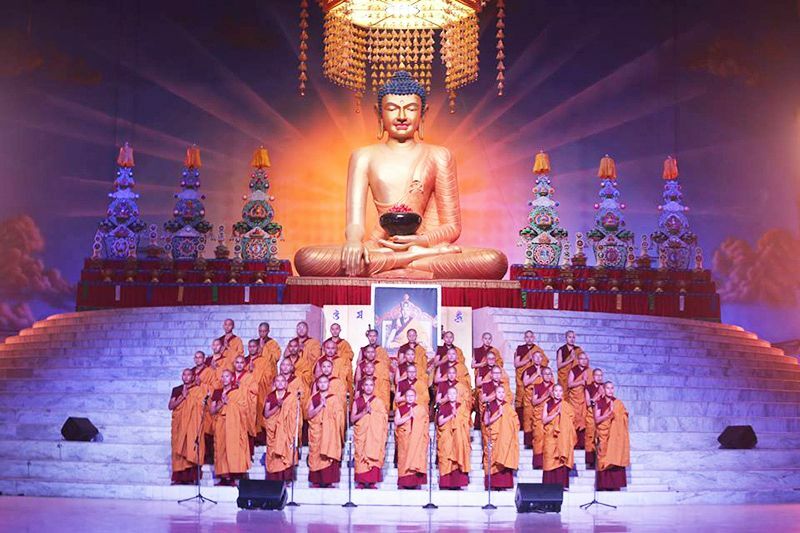 The Mönlam was extended to India-based participants with teachings in the Taiwan Temple, then Tergar was built. What is really important is the intended purpose which brings us together. This year, people from 50 different countries are here, united in aspiration and intent. That is what makes this gathering significant and important. We have this united purpose for peace in the world and for the well-being of all, without exception, so this is a sacred and precious gathering. The Karmapa added that this kind of auspicious event had a tradition in the noble wishes and aspirations of previous Karmapas. 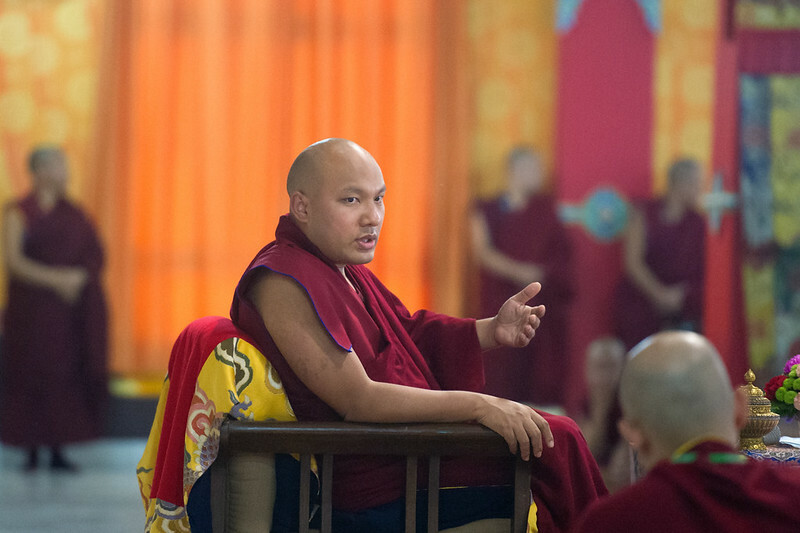 He mentioned, especially, the 7th Karmapa, Chödrak Gyamtso, pointing out that prayers that were made during his time are done in the last day of the Kagyu Mönlam, and quoting an inspiring exhortation of his: "May we gather different languages and nationalities in joyous celebration. Let this happen again and again." A number of fellow Tibetans came to see me. Most were elderly, and told me that they had held their hopes within their minds for so long, and they now wanted to express them. They were wishing for these things, for peace and happiness for all the world, for the spread of the Dharma, and asking me to pray for them to come about, with tears in their eyes. It was more than mere words. Sometimes when things are memorised we don't experience them in depth, but this was from the core of their hearts, it was feeling articulated in words. This is not common, it is rare, so all the more precious. When people can make this kind of wholehearted aspiration, I think there is still hope for the world and for sentient beings. 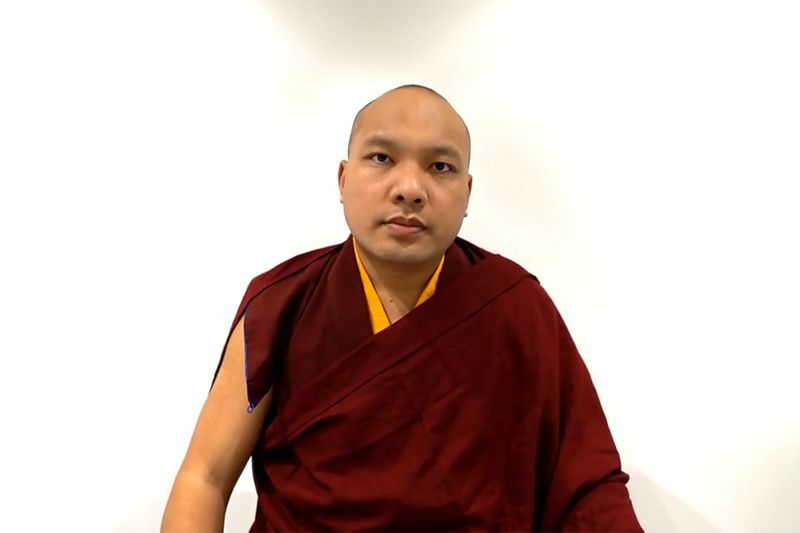 The Karmapa then reminded everyone that as far as they were concerned, as Members, they couldn't be any closer to the Mönlam than they were already. That meant that they must have dreams in their life that were not limited to themselves, but were universal and global in their outlook, encompassing all sentient beings; this was a noble aspiration that they must embrace. The Karmapa concluded the meeting by expressing his appreciation for the many ways in which Members supported the Kagyu Mönlam, and as a token of that appreciation, by handing out personally to each Member a calligraphy made by himself with the Tibetan words Nam Yang De - 'completely happy'.